Social Media + Marketing for brands of all sizes | Wardrobe, product, prop and interior design for a broad range of clients. I produced the photoshoot for the launch of the new Ollie + Me Label launch, which included location scouting, model styling, creating and managing the call sheet and shot list for all looks, along with child model-rangling! I did production + creative direction for the content the brand used to launch their brand and initial product offering online. Over the course of two days, my team created 100+ photo assets and four video assets for the website and social media outlets. I did wardrobe and set styling for the clothing brands, Tradlands, for their Fall 2018 lookbook. "Working with Julia has been incredible. She is thoughtful, attentive, and inspired. Styling is one of those important aspects of a photo shoot that elevates a brand, with creativity and details that bring everything together seamlessly. Julia translates idea boards, notes, emails, and phone calls into the editorial scenes of your dreams. She also understands the importance of marketing and can create shoots to support those campaigns as well. She knows just when to add that extra accessory or prop and when to pare back. Above all, she makes it feel easy and always brings great energy on set. Thank you, Julia!" I worked with the team at Glitter Guide to bring a mother's day feature to life for their blog + client with styling, recipe creation and overall creative direction. "Julia is my go-to for all things styling and creative. She has an eye for intricate details and overall design that I can't find anywhere else. She has a magic touch and a way of elevating even the simplest product into a stunning campaign. " Wyeth Eyewear Festival Season Lookbook. Wyeth is a bicoastal brand and requested lookbook styling that with elevated festival feel that could work for both NYC + Southern California women. I worked with the brand on wardrobe styling and location direction. Our models for this shoot were Tashi Rodriguez (shown), Alden Steimle & Cait Barker. I worked with Sakura Bloom to do wardrobe + prop styling for their Spring 2018 sling collection. Knot Sisters commissioned this lookbook shoot while I traveled in New Mexico with Taryn Kent + Rachael Lunghi. I coordinated directly with the brand on styling, did location scouting and overall creative direction. "I have worked with Julia on numerous photo shoots and marketing collaborations. She has a great eye and the content that she provides is always outstanding. Not only is her styling styling superb, but she is very knowledgable about social media and has great ideas on ways to get the most out of any collaboration, contest, or giveaway. Nixon did a profile on Sarah Dubbledam, the founder of Darling Magazine and asked me to pull accessories and wardrobe to match the watch styles they pulled for the photo and video feature. We shot this at the Darling Magazine headquarters in Los Angeles. Gunn & Swain is my personal brand and e-commerce site. I sourced + styled a vintage collection that we sold for the holiday season. The collection was shot in our in-house studio with San Diego model Jo Elise and photographer Taryn Kent. This editorial was featured on both Glitter Guide + MITH Magazine and featured model Shannon Barker. I worked with Rachael Lunghi on overall creative direction for the shoot and did the wardrobe styling. I did set design + prop styling for this shoot to create the website and social media content for Bobble water bottles. I styled a shoot for singer Cœur de Pirate that was featured on her social media + in a series she did in collaboration with a Canadian online magazine called Loulou. I pulled wardrobe accessories and props for the Fall 2017 Cleobella children's lookbook featuring Amanda Stanton and also scouted and coordinated the shoot location. I styled Taryn Kent's nursery for her son and coordinated a feature on 100 Layer Cakelet. Taryn was looking for a modern bohemian style that featured some of the finds she and her husband had collected on their world travels. We did all of this on a shoestring budget with DIY and product trade. I styled a shoot for Elite Miami when their model Kia Archer was in Southern California. Kia and Elite used the images for social media content. Images from our shoot were also used on the Urban Outfitters social media channels. I worked with Reef to create spring content for their social media channels as well as their e-newsletters. I met with the marketing team at Reef to discuss the products they were looking to promote in this timeframe as well as their vision for the content. 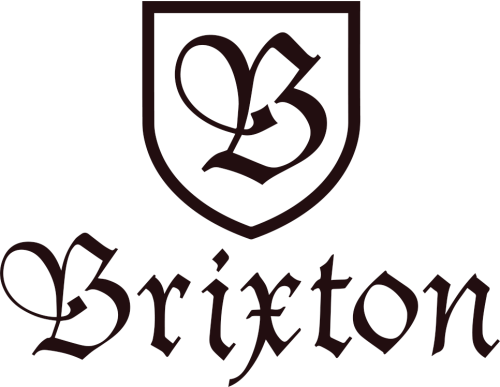 I styled and did location scouting for this Friday Feature for Brixton that was featured on their blog and social media. I also work closely with their PR team to include their newest styles each season in content and photo shoots I work on. I've styled two seasons of lookbooks for Isla James Swim. For their 2016 S/S season, we shot with Annie Encinitas, CA. I did location scouting, creative direction and wardrobe styling for this Lovebirds LA shoot to showcase their handmade camera straps. The photos were used on their e-commerce site and social media accounts. I worked with Knot Sisters and Nicki Bluhm to coordinate this holiday shoot and co-styled it with the founder of Knot Sisters. I also worked directly with Nicki and Knot Sisters to promote the feature through social media, email and a giveaway.